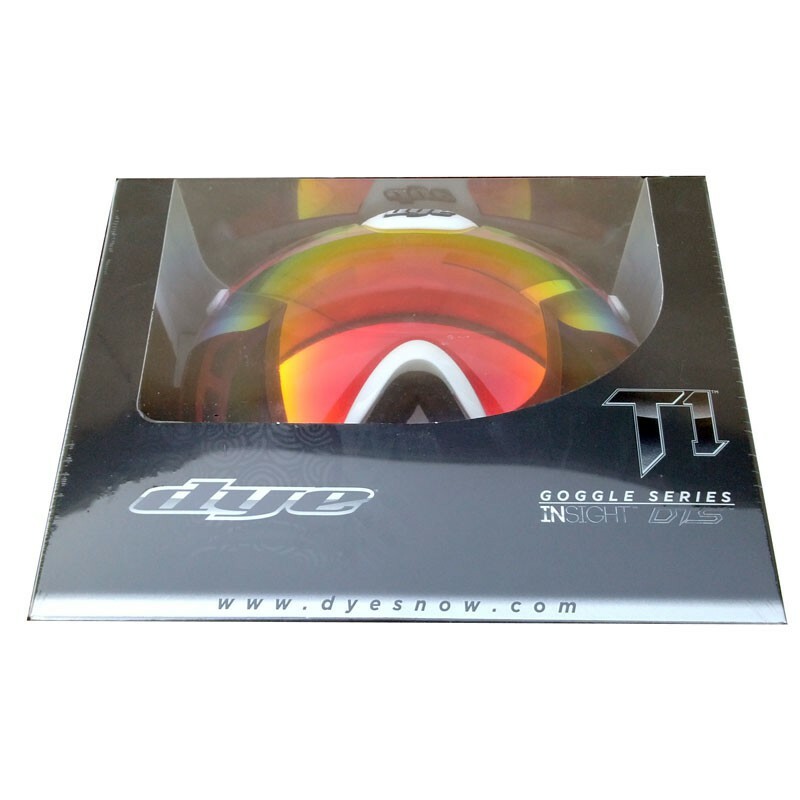 The Dye T1 goggle frame is the perfect blend of style, performance and functionality. Our design team started with a proprietary lightweight thermoplastic frame and engineered it with flexibility for a medium/ large fit. Spherical Polycarbonate Lens - The injected thermal lens provides 100% UVA, UVB, UVC protection and is optically corrected for superior clarity. T1 lenses are 4D Coated with permanent Anti-Fog and Anti-Scratch coatings for performance and longevity. Helmet Compatible Strap Points - The attachment points are placed farther back on the frame to expand your peripheral vision and ensure pressure is evenly distributed across your face with or without a helmet. Flexible Lightweight Frame - 85% frame less design provides a greater field of vision with unmatched peripheral on a medium/large fit goggle. Attached to the frame is dual density foam that gives you a more customized fit. 360° Venting - Our frame has venting surrounding the frame for maximum breathability and airflow throughout the goggle. The thermal lens also has a permanent Anti-Fog coating and these two features combined create the ultimate fog defense. Quick Clip Lens Attachment - The Quick Clip attachments give you the ability to change your lenses quickly and effortlessly to match the conditions as they change on the mountain. 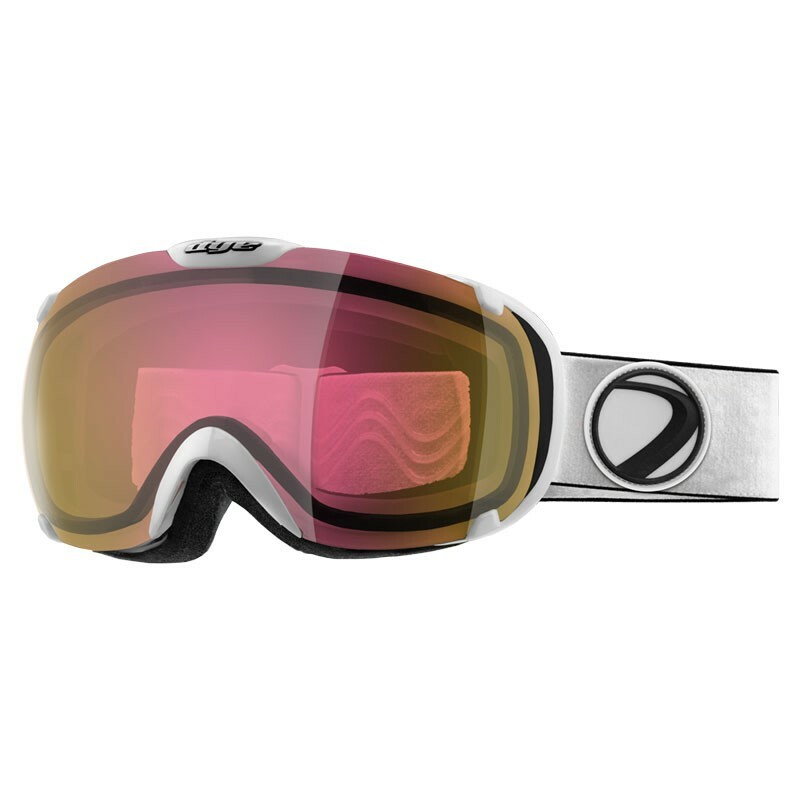 Question about "Dye Snow Goggle T1 DTS White / Rose Fire - Ski / Snowboard Goggle"